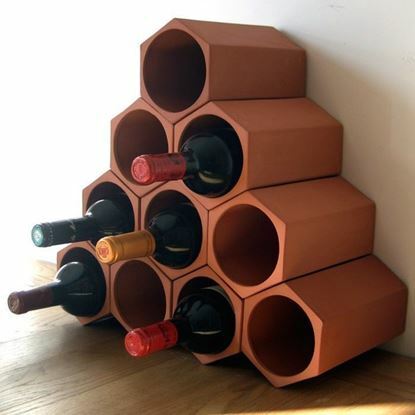 Our freestanding terracotta wine rack set holds up to 7 bottles. 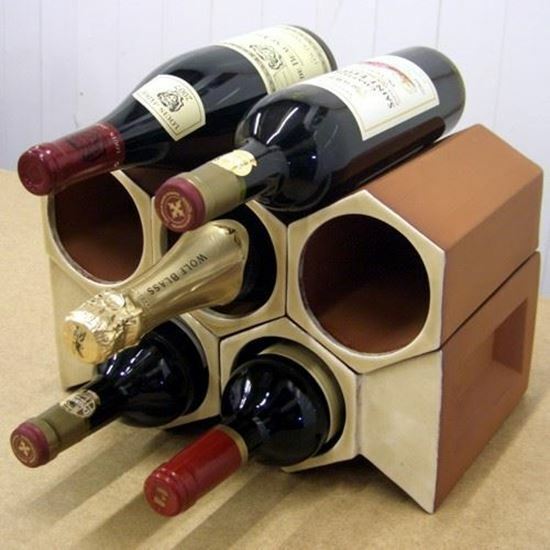 Ideal for kitchen worktops, larder shelves or for fitting into small spaces. 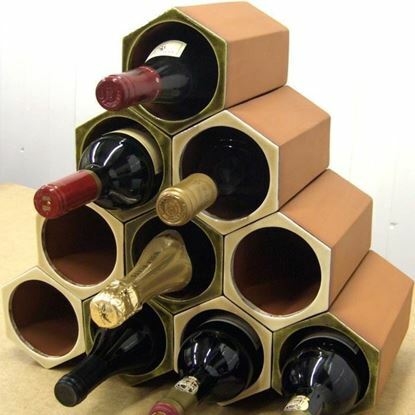 Set includes 3x terracotta wine rack sections & 2x terracotta keystone sections with ochre (cream) glazed ends. 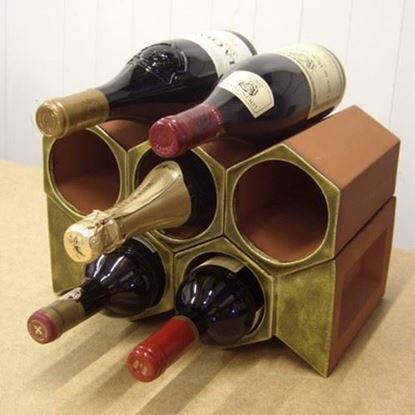 Assembled Set Dimensions: Width 32.5cm x Height 21.5cm approx. 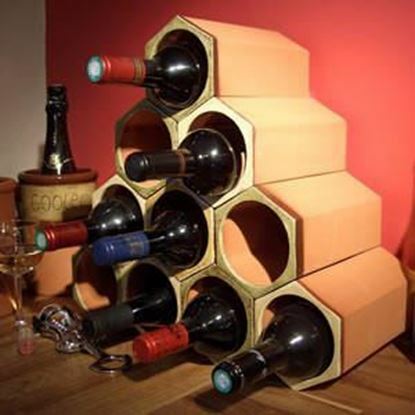 Designed to interlock with the hexagonal wine rack sections, our unique keystone sections can be positioned at the sides giving additional support & enabling construction of freestanding wine racks of your own design. Made at our pottery studio in Newark, Notts.